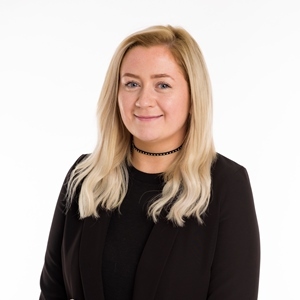 Danielle joined Beaufort Group in December 2016 as Marketing Administrator. She works closely with the Head of Marketing to drive the brand building activity for Beaufort Group. As part of her remit, she also works with agencies and a team of content creators to support the marketing effort. She provides marketing support on key activities including website development, social media, brochure development, photography shoots, video creation, newsletters, online advertising, client guides and reporting on PR activity to mention a few. She is a central conduit in the business between marketing and the network of Partners who seek out her marketing expertise on areas including: the design and production of campaign and client facing materials, the creation and delivery of social media content. Currently, she is focused on helping to streamline the efficiency of current marketing processes and practices across the firm. Prior to her role Beaufort Group, Danielle spent 8 years in an administrator and compliance role at a car warranty firm, managing projects as well as providing key administration support to the senior teams. Outside of the office Danielle enjoys spending time with her daughter who shares her love for arts, crafts and baking.